Here we list the top fifteen European football leagues ranked by broadcast revenue in the last financial year according to the recently published report from UEFA. 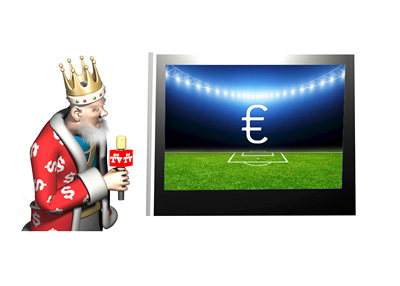 The English Premier League is the dominant force when it comes to broadcast revenue. It dwarfs all other leagues. It is worth more than double as the second ranked league, the Italian Serie A, and it has nearly four times the value of the French Ligue 1. Considering the financial power of English clubs, is it any wonder why a large percentage of world's top footballers gravitate towards playing in the EPL? Football as a sport is big business!